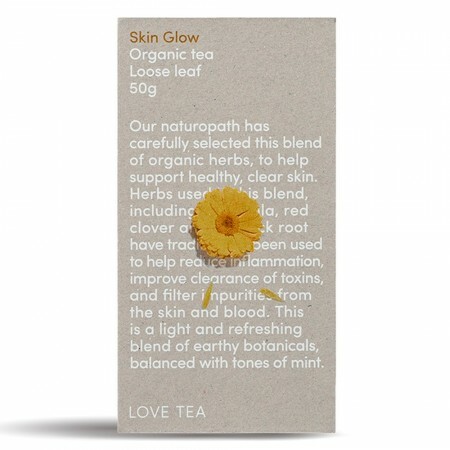 An organic and handcrafted herbal tea to support healthy, glowing skin. Naturopathically selected calendula, red clover and burdock root help reduce inflammation, improve clearance of toxins, and filter impurities from the skin and blood. Light and refreshing earthy flavour balanced with tones of mint. 50g of loose leaf tea. Assists in filtering impurities from the skin and blood. Helps reduce inflammation and improve clearance of toxins. Place 1 heaped teaspoon into a cup (250ml) and add boiling, filtered water at 75ºc–85ºc. Allow to infuse for 3–5+ minutes, and then remove the bag and serve. 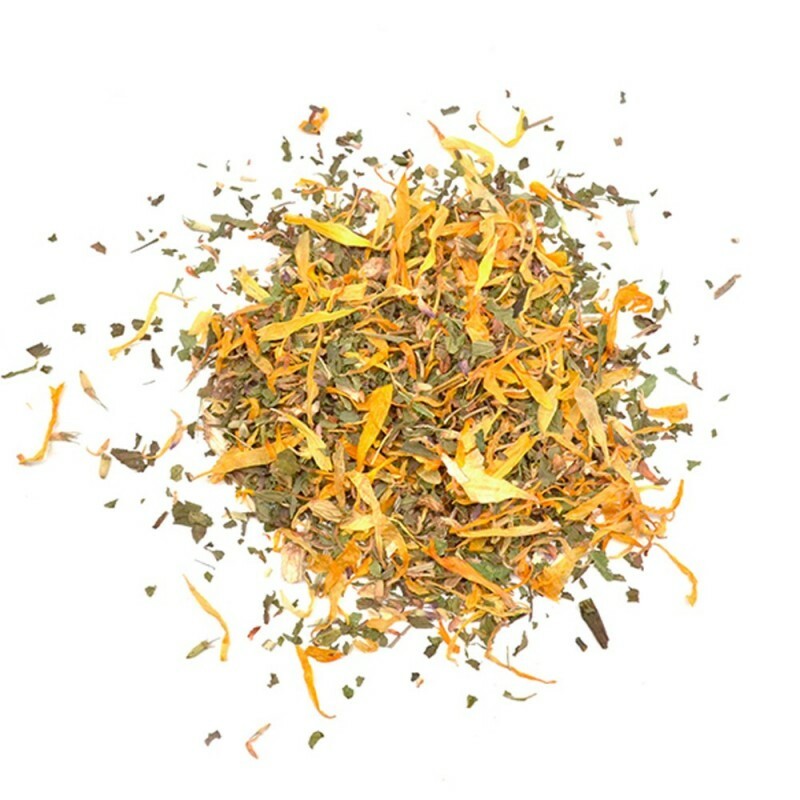 Certified Organic spearmint, burdock root, echinacea, calendula, red clover.